My horses are Icelandic geldings. Eifur was raised by me, I have had Villingur since he was one. We hope you have a safe and happy journey, all three of you. 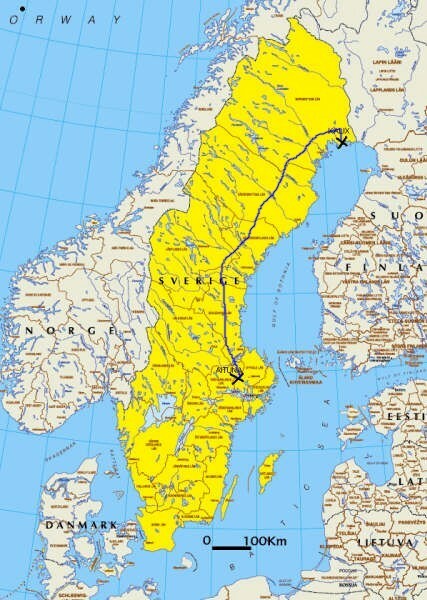 Click on image to enlarge Karin's map of her route. "I am not riding by the coast, but somewhere between the coast and the middle, that's where the small roads are," Karin told The Guild. Here is a link to an article which appeared about Karin in a Swedish newspaper. 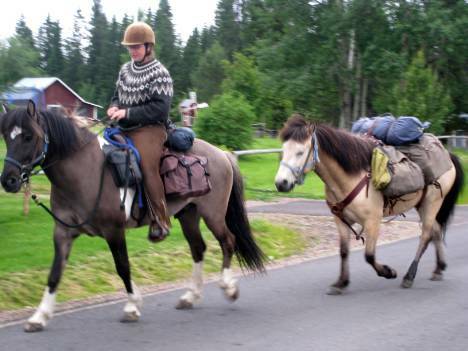 10th August 2008 - Karin wrote to say, "I and my horses came back safely but tired two days ago."